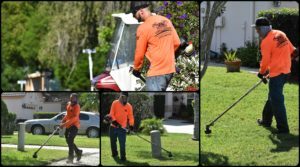 Shrub and Weed Detail Services - 3 Season's Lawn & Landscape Inc.
3 Season’s Lawn & Landscape Inc.
Shrubs & ornamental plants belong in the plant beds…keep them there! Shrubs, trees, and flower beds contribute to the visual appeal of your lawn, and maintaining them can be a pain. Lack of care for these precious jewels in your landscape can be costly though, therefor leading to tons of added expenses. With our proper maintenance and scheduling, we can prevent such losses! So call 3 Seasons today for your free shrub & weed detailing quote! Should You Hire A Lawn Care Service?